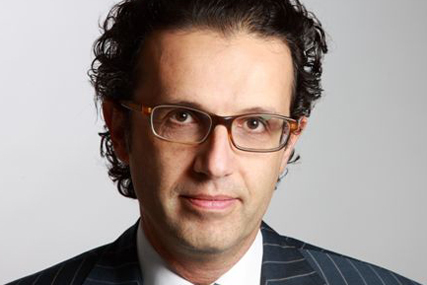 LONDON - Channel 4 has hired UKTV's David Abraham as chief executive. No date has been confirmed for when Abraham, who is understood to have informed UKTV shareholders Virgin Media and BBC Worldwide of his move today, will join the broadcaster. Channel 4 acting chief executive Anne Bulford will lead the management team until Abraham's arrival. The broadcaster has been on the hunt for a new chief executive since former boss Andy Duncan stepped down in November last year. Abraham was among the contenders tipped for the job, along with Jane Root, the former controller of BBC Two, and Lorraine Heggessy, the chief executive of Talkback Thames. The switch may reignite speculation about the involvement of UKTV in the potential tie-up between Channel 4 and BBC Worldwide. Lord Burns, Channel 4 chairman, said: "The board spoke to a number of other candidates and considered many more as part of a very thorough process and we're convinced that, in David, we have identified a creative manager of the highest quality. "He has a track record of success as a chief executive and the right mix of skills to get all parts of Channel 4 working together to unlock our full creative and commercial potential and complete our transition into digital." Abraham was appointed chief executive of UKTV in April 2007 and was behind the rebrand of UKTV channel G2 to Dave in the same year. He joined UKTV from Discovery Networks USA where he was president and general manager for TLC.